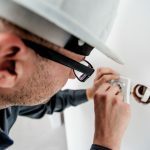 A water heater thatstops running, a car that needs repair, or a root canal are all unexpected expenses that pop up from time to time during this wonderful thing we call life. But I never thought in my wildest dreams of something like this. He tried on the black dress shoes he had. They were a little snug, but he was completely against heading back out on the shopping trail with me, so he said they would work fine for the 90 minutes he had to wear them at the open to the public event. 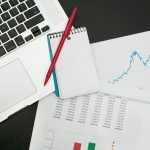 Over the course of one day, my teenager totaled up almost $70 in unexpected expenditures. He and I sat down and had a nice chat about responsibility, budgeting, and how he needs to let us know about these things as early as possible not only from a standpoint of making sure we have the money to buy them, but also so we have enough time to actually find the things he needed. 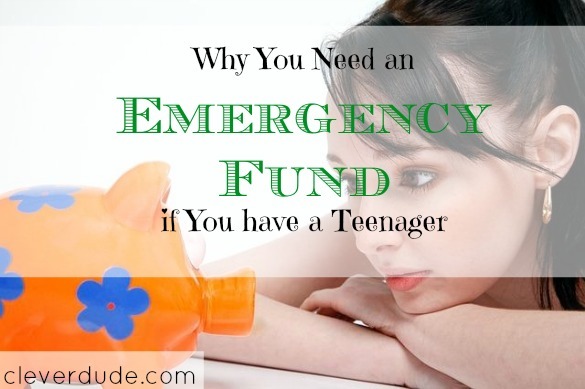 If you have a teenager, or a soon to be teenager, I hope you have your emergency fund ready to go. Do you have a teenager? Have they ever sprung an unexpected expense on you? Haha! That’s redundant. You did pretty well, though. My oldest son’s homecoming ALMOST cost me $500. We shopped somewhere insane like The Men’s Warehouse. Then I found a little outlet-type place that actually did alterations, found everything he needed for about $100, and returned everything to TMW. This was about 16 years ago, so I can only imagine how much these things (if purchased new) would cost now. I guess I should start saving for our 11 yr. old’s proms and such. My daughter, 16, is notorious for last minute I need to buy everything at Walmart tonight MOM.. I’ve told her over and over she needs to let us know as soon as she knows well in advance and it never fails! I am laughing at my desk right now. That was my 13 yr old nephew exactly. I was in charge of him for 6 months before he moved on to his grandparents’ house. Every day was a surprise. I got the “Oh, I need a suit and tie for the business club field trip tomorrow”. He got an over-sized blazer from the thrift store and Walmart shoes. “I need posterboard, pencils, pens”. Always told to me on the way to school! “I need snow gear for and a sled for the camping trip this weekend”. The sled was hard to find in Arizona and lasted one day. Of course, he couldn’t tell me this sooner because he was playing on the computer! @Cathie – you described one of my fears from earlier this year. My son (as you might have gathered from the post) isn’t exactly forthcoming with information and finds it perfectly acceptable to spring these sort of things on us. We kept asking him if he was going to take someone to homecoming – and he kept saying no, that he was just going to hang with his friends. I envisioned him coming to us two days before the event saying we needed to get a tux, and help him plan for a date. He didn’t…but I SOOO could have seen it happening. @teresa – LOL, I have a coworker that was awakened by their teenage daughter at 1:00am because they ran out of printer paper expecting her to do something about it because, “OMG, Mom, my paper that I’ve known about for a month is due Tomorrow!! !” Not much foresight by those teenagers, is there? @Daizy – I can’t believe you actually found a sled in Arizona! 🙂 It’s all about priorities, and what they *need* isn’t a priority until they actually need it. 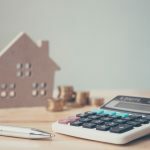 This is one of the reasons I’m trying to expose more of how to handle finances to my son – so he sees that it requires planning ahead of time and that mom and dad do not have a bottomless pit of money. Thanks for sharing your story! @Kathy – I hear what you’re saying….but our clothing fund would be for a “known” clothing expenditure at a known time. It’s still unexpected and will require a plan to build it back up to where we want it. You’re right about school budgets…there was a time where you would do all this work at school – printing out all the stuff at school. *MAYBE* we would have had to shell out for the poster board. I don’t mind the expenses…..I just wish I would have known about them earlier so we could better plan for them. Thanks for your perspective! As the parent of three teens, I can tell you from experience is that one way to eliminate all of these last minute expenses is to put the kids on their own budget. Ours have been on budgets since they were 7 & 8 years old and they’ve learned that last minute means expensive (for them). They love shopping sales and used clothing stores, (note that the boys HATE shopping in general but have learned where the deals can be found) and have come to realize that an “I need it now” trip results in going where mom is already headed and that might not be the cheapest option for them. @Tracie S – That’s an interesting idea…maybe it would help with my son’s constant indecisiveness as to what he wants in a pair of jeans…oh my what an adventure that’s been. That could be a post all on it’s own. Money is one of the reasons why I don’t have kids – the fact that I am completely selfish is the other reason.